If you’ve been injured on the job, you’re number one priority is getting better. That’s why it’s so important that you seek immediate medical care when you suffer a workplace injury. Your doctor can provide treatments and medicines that will allow you to recover and get you back to where you belong in the shortest amount of time possible. The thing is some injuries take time to properly heal. During this time, your doctor may advise that you stay off of work so that your body gets the rest it needs. In some cases, your doctor may tell you that you are able to go back to work while you recover, but only in a reduced capacity position that is not as physically demanding as your normal job. When you can’t work because you’ve suffered an on-the-job injury, the stress can be incredible. You’re supposed to be resting, but you can’t stop thinking about the future. You may not be able to work, but your creditors don’t care. Your monthly bills are still going to come due. How are you going to pay them? What are you going to do? This is where the law firm of Fraulob-Brown can help you. California’s workers’ compensation laws allow you to get paid while you recover from your workplace injuries. The attorneys at the law firm of Fraulob-Brown are experts in all areas of workers compensation, including temporary disability. They are dedicated to getting you the money that you need to keep you going while you recover. Before there were workers’ compensation laws, an employee who was injured on the job had very few options. If they were unable to work because of their injuries, their employer was under no obligation to continue to pay their salary while they recovered. This put the injured worker, and his or her family, at great risk. While they could be fairly certain of fully recovering from their physical injuries, the financial harm caused by being temporarily unable to work was very often catastrophic. With today’s workers’ compensation laws, that has all changed. You, the injured worker, are protected from the devastating financial effects that used to accompany workplace accidents. Specifically, one of the benefits that you are entitled to is temporary disability payments. Temporary disability is money that you receive while you’re recovering from an injury that you suffered while working. As the name implies, these benefits are relatively short-term. They are designed to keep you and your loved ones financially safe and secure while your body heals. Once you are back to normal and are able to return to work, the temporary disability payments stop. AM I ELIGIBLE FOR TEMPORARY DISABILITY PAYMENTS? In general, there are two types of temporary disability available under California’s workers’ compensation laws. If you have been injured on-the-job and are completely unable to work while you recover, you can receive what is known as temporary total disability. Alternatively, if you have endured a workplace accident and are still able to work, albeit at a diminished capacity, then you may be eligible to receive temporary partial disability. As always, your eligibility for any form of disability payment depends on whether your workers’ compensation claim has been approved by the claim administrator or administrative law judge assigned to your case. This is why it is vitally important that you consult with a competent and experienced workers’ compensation attorney, like the attorneys as the law firm of Fraulob-Brown, at the earliest possible opportunity. 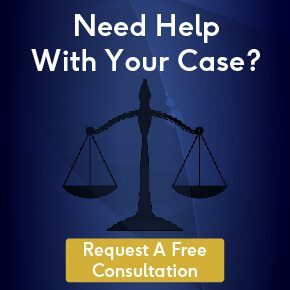 The attorneys at the law firm of Fraulob-Brown will work diligently to make sure that your claim is approved so that you receive the temporary disability protection that you deserve. HOW MUCH WILL MY TEMPORARY DISABILITY PAYMENTS BE? The amount of your temporary disability payments depends on the amount of money that you normally earn from all employment. In most cases, temporary disability will pay two thirds of the total pre-tax wages that you have lost as a result of your workplace accident. So, for example, if you were earning an average of $600 per pay period before taxes prior to your injury, you will receive $400 every two weeks as temporary disability. Remember, the amount of disability that you receive depends entirely on your providing proof of your income from all sources. This includes part-time employment, as well as full-time employment. The more income that you prove, the more your disability payments will be. The attorneys at the law firm of Fraulob-Brown understand this. They will use California’s workers’ compensation laws to your advantage, getting you the highest possible temporary disability payment available. WHEN WILL MY TEMPORARY DISABILITY BENEFITS BEGIN AND END? In general, temporary disability begins when your doctor indicates that you are unable to work as a result of injuries suffered on-the-job. You will continue to receive temporary disability payments until your doctor states that you have recovered sufficiently to return to your normal work duties. In no case can temporary disability payments exceed a total of 104 weeks. The presumption under the law is that by this time you will either have fully recovered or your injuries are so severe that you will never fully recover. In the latter case, you would then be eligible for permanent disability benefits. Keep in mind that any employment you accept during the time you are temporarily disabled will negatively affect the amount of disability payments that you receive. So, for example, should you find alternative employment that is acceptable to your doctor, those wages would be offset against the amount of your temporary disability. California’s workers’ compensation laws are there to protect workers like you, but the process of obtaining benefits under the law can be complex. An experienced workers’ compensation attorney, like those at the law office of Fraulob-Brown, can help you successfully navigate through these complexities so that you obtain the full workers’ compensation benefits that you deserve.